Alexander Calder, Animals, 1976. Lithograph on paper. Sculptors have historically tended to produce extraordinary drawings and works on paper. The reasons for this are not easily assessed, but certainly have something to do with the tactility and physicality of the drawing process itself. In contemporary art, traditional distinctions between sculpture, painting, photography, design, and fashion (to name just a few) are habitually blended or abandoned altogether. Many of the artists featured here often do just that. Nevertheless, each retains a particular artistic orientation toward the production of three-dimensional objects in space, which is the proper territory of the sculptor’s attention. Drawing is often seen as a preparatory process. Sculptors need to produce plans and working drawings to share with collaborators and fabricators, and just to assist themselves in conceptualizing 3-D projects. Other times, drawing is more of an end in itself: a chance to explore ideas, color, composition, or shape – not to mention make works that are more easily shown and stored than steel, stone, bronze, or clay. Drawings by sculptors can be dense or spare, heavy or light, narrative or purely formal. Still, some vivid awareness of space and form remains palpable, and the object-ness of the materials are often brought to fore. Much like that other modern maestro Pablo Picasso, Alexander Calder hardly contained or edited himself in his exuberantly scribbled cartoon animals, clowns, caricatures and abstract doodles that were then often turned into sculptures, as well as textile designs and prints. 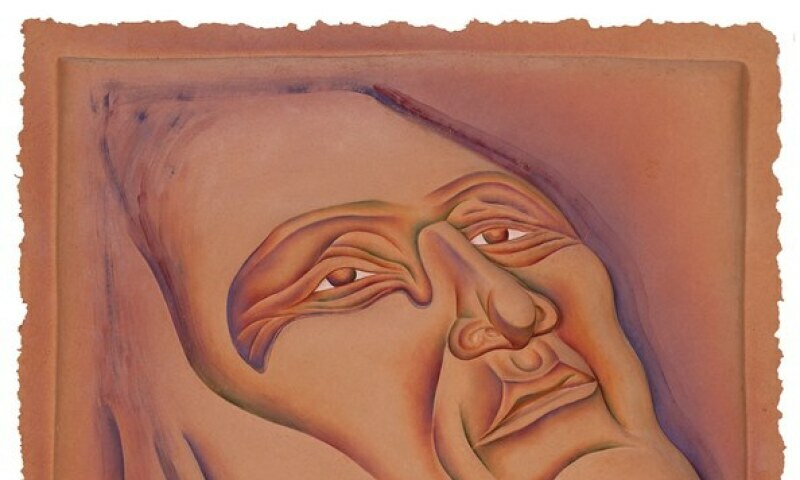 Quintessential post-modernist Judy Chicago has extended her feminist and humanitarian concerns across every conceivable media, including sculpted paper reliefs and prints in many media. English sculptors Henry Moore and Lynn Chadwick both made the abstracted human form their primary subject in 2- and 3-dimensions. Luis Jiménez evoked Italian Baroque artists with his roiling, sensuous forms, demonstrated in his rigorous drawing style and in monumental sculptures. Larry Bell uses light, chemistry, and cutting edge technology to produce art in countless media. Richard Tuttle has made exploration of the space between drawing and architecture virtually his life’s work. He has often turned to the genre of the text-free, small edition ‘artist book’ to investigate his ideas. Works by these and other artists are featured in "From Calder to Chicago: Sculptors on Paper."